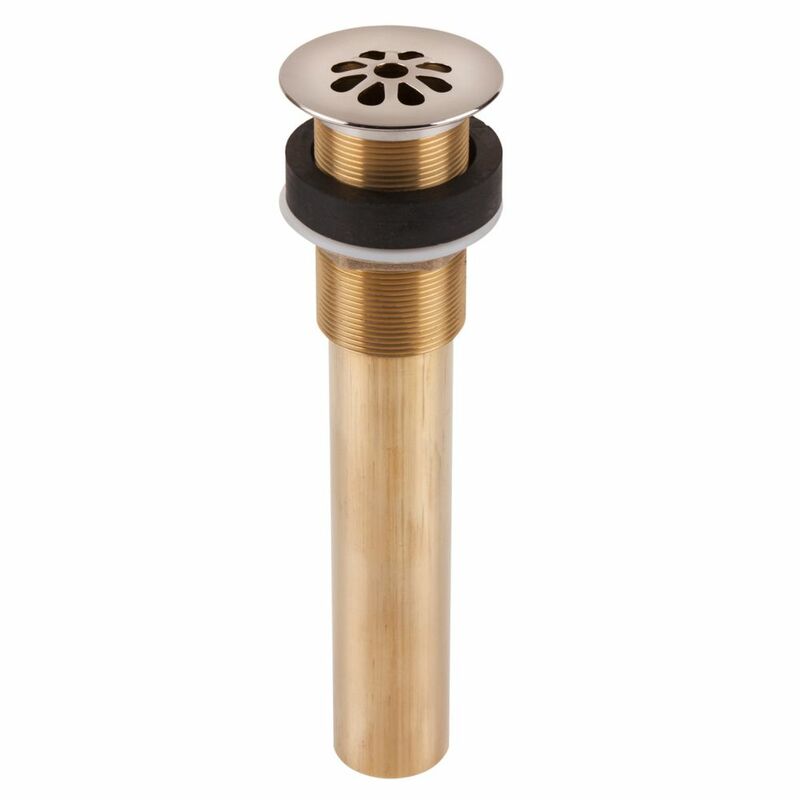 Decorative Brass 8-Hole Bath Grid Drain in Nickel is rated 4.5 out of 5 by 2. Rated 5 out of 5 by Topher from Very high quality. The nickel finish matches brushed nickel and brushed stainless faucets. Drai... Very high quality. The nickel finish matches brushed nickel and brushed stainless faucets. Drains much quicker than the common 19-hole grid strainer drains. I have installed two of these and hope for the opportunity to install more. Rated 4 out of 5 by Lily from Yes, I was looking for a non-pop up drain and like this item. It looks nice and well made. Yes, I was looking for a non-pop up drain and like this item. It looks nice and well made.